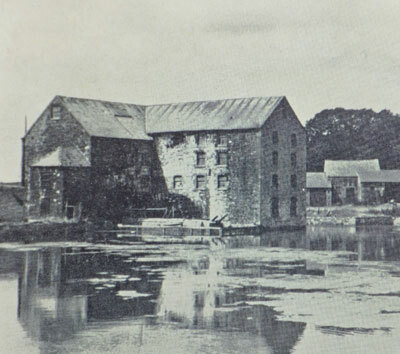 The tidal mill at St Helens was built about 1780, obtaining its power from the head of water created by tidal movements to grind corn. The incoming tide was collected and held within ponds enclosed by masonry causeways; old maps (1862/1897) show two causeways with sluices in each to control the movement of the water. Careful use of the sluices would have regulated the outflow through the mill to maximise the time the mill could be operated on each tide. For most of the 19th century, the mill was owned by Edward Way and Son. 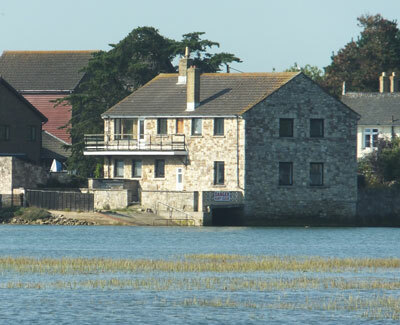 After WWI, it was acquired by the St Helens and Isle of Wight Coal and Wharf Company – possibly, as it was adjacent to St Helens Quay, just to have control over the location. By 1930 the mill was no longer operating. By the end of WWII, the mill building was derelict and in 1969, it was rebuilt as a dwelling. Today, the inner causeway forms the base for the footpath from the mill building to the Duver, standing over one of the gaps in the causeway when the tide is in flood, gives an idea of the force generated by the water flowing through a narrow channel. 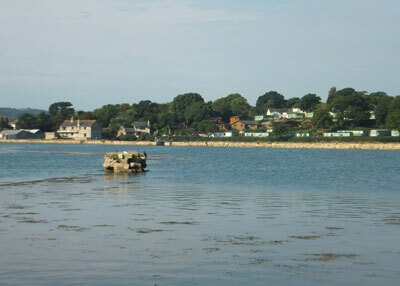 The remains of the outer causeway can be made out on the harbour side. At both ends of the Mill House can be seen the openings for the channel in which would have been the mill wheel.